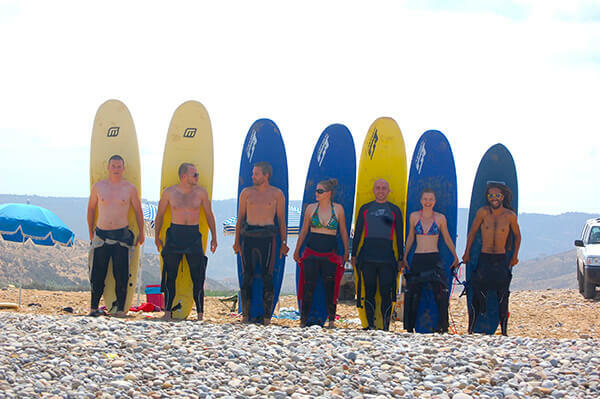 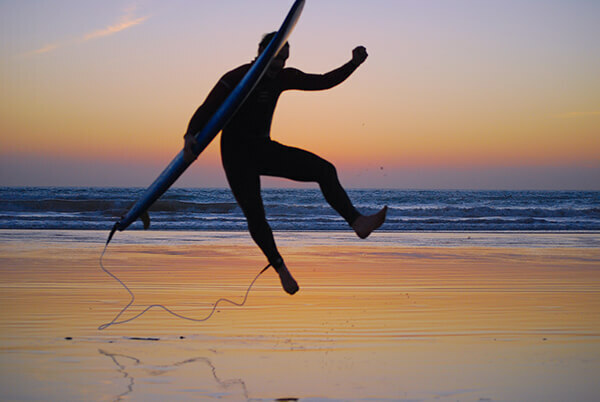 Surf discovery is for those who want to learn surfing in Morocco, but also relax and do other activities. 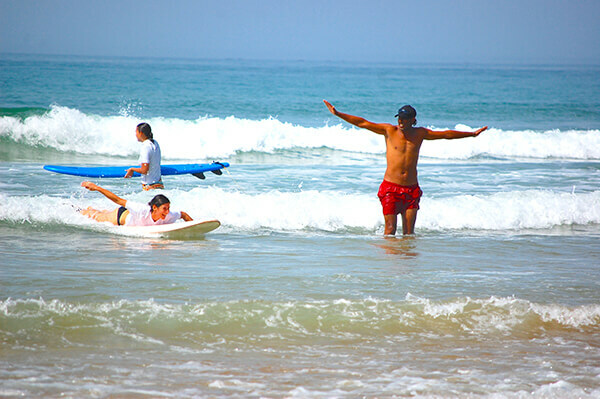 You will have 2 hours surfing lessons per day for 5 days and the rest of the time you can do some yoga, horse riding, go fishing or simply rest and chill with other surfers at the surf camp. 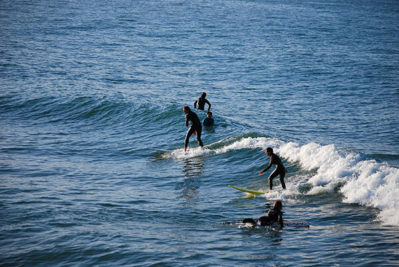 After breakfast, we will choose which surfboard and wetsuit fits you best. Then head to the beach for your 2 hours’ surf lesson. 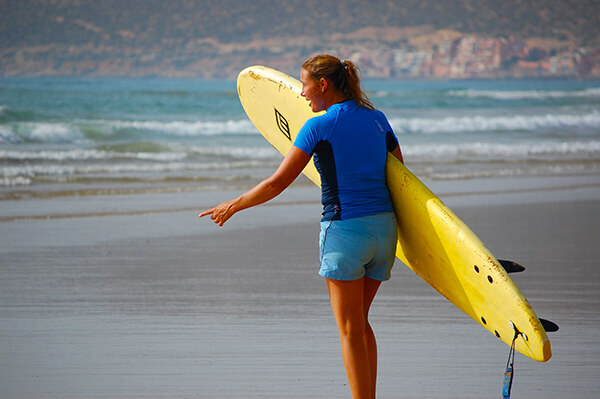 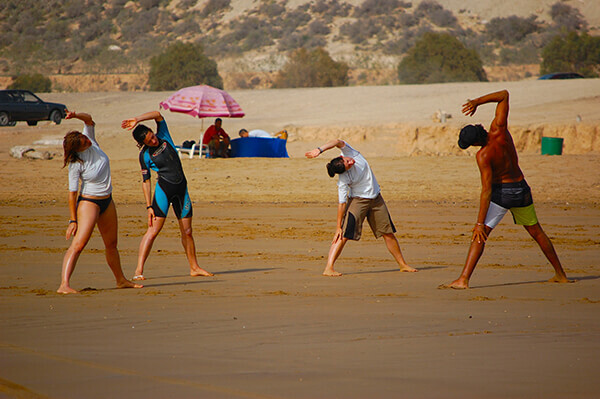 The Heenalu surf camp in Morocco begins with five minutes of jogging and stretching out, then fifteen minutes theory course with one of our certified instructors before getting in the water surfing, practicing and learning surfing basics and how to feel safe and comfortable in the ocean. 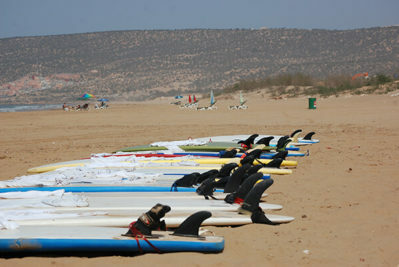 After the surf session, we’ll have a lunch break then drive you back to the camp to relax and enjoy the rest of your day.